Eric Lander, Françoise Baylis, Feng Zhang, Emmanuelle Charpentier, Paul Berg and specialists from seven countries call for an international governance framework. Eric S. Lander is president and founding director of the Broad Institute of MIT and Harvard in Cambridge, Massachusetts, USA. Françoise Baylis is a university research professor, Dalhousie University, Halifax, Canada. Feng Zhang is a core member of the Broad Institute of MIT and Harvard. Emmanuelle Charpentier is founding and acting head of the Max Planck Unit for the Science of Pathogens in Berlin, Germany. Paul Berg is Robert W. and Vivian K. Cahill Emeritus Professor in the biochemistry department at Stanford University, Stanford, California, USA. Catherine Bourgain is head of the Center for Research in Medicine, Science, Health, Mental Health, and Society at the University of Paris Descartes, Paris, France. J. Keith Joung is professor of pathology at Harvard Medical School, Boston, Massachusetts. Jinsong Li is a professor at Shanghai Institute of Biochemistry and Cell Biology, Shanghai, China. David Liu is Richard Merkin Professor and director of the Merkin Institute of Transformative Technologies in Healthcare at the Broad Institute of MIT and Harvard. Luigi Naldini is director of the San Raffaele Telethon Institute for Gene Therapy, Università Vita-Salute San Raffaele, Italy. Jing-Bao Nie is a professor at the Bioethics Centre/Te Pokapū Matatika Koiora, University of Otago/Te Whare Wānanga o Otāgo. Renzong Qiu is professor emeritus at the Institute of Philosophy, Chinese Academy of Social Sciences & Center for Bioethics, Huazhong University of Science and Technology, Wuhan, China. Bettina Schoene-Seifert is chair for medical ethics, University of Münster, Germany. Feng Shao is professor and deputy director, National Institute of Biological Sciences (NIBS), Beijing, China. Sharon Terry is president and chief executive of Genetic Alliance, Washington DC, USA. Wensheng Wei is a professor at Peking University College of Life Sciences, Beijing, China. Ernst-Ludwig Winnacker is professor-emeritus at Gene Center Munich, Department of Biochemistry, University of Munich, Germany. To begin with, there should be a fixed period during which no clinical uses of germline editing whatsoever are allowed. As well as allowing for discussions about the technical, scientific, medical, societal, ethical and moral issues that must be considered before germline editing is permitted, this period would provide time to establish an international framework. Thereafter, nations may choose to follow separate paths. About 30 nations currently have legislation that directly or indirectly bars all clinical uses of germline editing1, and they might choose to continue the moratorium indefinitely or implement a permanent ban. However, any nation could also choose to allow specific applications of germline editing, provided that it first: gives public notice of its intention to consider the application and engages for a defined period in international consultation about the wisdom of doing so; determines through transparent evaluation that the application is justified; and ascertains that there is broad societal consensus in the nation about the appropriateness of the application. Nations might well choose different paths, but they would agree to proceed openly and with due respect to the opinions of humankind on an issue that will ultimately affect the entire species. To be clear, our proposed moratorium does not apply to germline editing for research uses, provided that these studies do not involve the transfer of an embryo to a person’s uterus. It also does not apply to genome editing in human somatic (non-reproductive) cells to treat diseases, for which patients can provide informed consent and the DNA modifications are not heritable. The 18 signatories of this call include scientists and ethicists who are citizens of 7 countries. Many of us have been involved in the gene-editing field by developing and applying the technology, organizing and speaking at international summits, serving on national advisory committees and studying the ethical issues raised. Here, we lay out why we think such a moratorium is now warranted, and illustrate how an international framework might work. At the first International Summit on Human Gene Editing in December 2015, the organizing committee issued a statement about appropriate uses of the technology (see go.nature.com/2erqwpc). About the issue of making genetically modified children, it concluded that “it would be irresponsible to proceed with any clinical use … unless and until (i) the relevant safety and efficacy issues have been resolved … and (ii) there is broad societal consensus about the appropriateness of the proposed application”. This should have been understood to mean that clinical uses of germline editing should not yet proceed anywhere in the world. Yet, subsequent events suggest that this statement was inadequate. First, in China, biophysicist He Jiankui reportedly edited embryos to create at least two babies. Second, scientists who were apparently aware of this work did not take adequate measures to stop it. Third, there has been growing interest in proposals for genetic enhancement of humans2,3. Fourth, some commentators have interpreted subsequent statements as weakening the requirement for broad societal consensus4; such statements include a 2017 report from the US National Academies of Sciences, Engineering, and Medicine5 and a 2018 statement from the organizing committee following the Second International Summit on Human Genome Editing (see go.nature.com/2rowv3g). Finally, no mechanism was created in the ensuing years to ensure international dialogue about whether and, if so, when clinical germline editing might be appropriate. A global moratorium and framework are therefore necessary to ensure proper consideration of the relevant issues surrounding clinical uses of germline editing. Technical considerations. For germline editing to even be considered for a clinical application, its safety and efficacy must be sufficient — taking into account the unmet medical need, the risks and potential benefits and the existence of alternative approaches. Although techniques have improved in the past several years, germline editing is not yet safe or effective enough to justify any use in the clinic. As was evident at the second summit, there is wide agreement in the scientific community that, for clinical germline editing, the risk of failing to make the desired change or of introducing unintended mutations (off-target effects) is still unacceptably high. Considerable research is being directed at this issue. Scientific considerations. No clinical application of germline editing should be considered unless its long-term biological consequences are sufficiently understood — both for individuals and for the human species. Among the vast array of possible genetic modifications, it is useful to distinguish between ‘genetic correction’ and ‘genetic enhancement’. By genetic correction, we mean editing a rare mutation that has a high probability (penetrance) of causing a severe single-gene disease, with the aim of converting the mutation into the DNA sequence carried by most people. Assuming that it can be done without errors or off-target effects, genetic correction could have a predictable and beneficial effect. Genetic enhancement, by contrast, encompasses much broader efforts to ‘improve’ individuals and the species. Possibilities range from attempting to modify the risk of a common disease by replacing particular genetic variants with alternative ones that occur in the human population, to incorporating new instructions into a person’s genome to enhance, say, their memory or muscles, or even to confer entirely new biological functions, such as the ability to see infrared light or break down certain toxins. Understanding the effect of any proposed genetic enhancement will require extensive study — including of human population genetics and molecular physiology. Even so, substantial uncertainty would probably remain. Modifying disease risk by replacing genetic variants with alternative ones is fraught with challenges, because variants that decrease the risk of some diseases often increase the risk of others. A common variant in the gene SLC39A8, for instance, decreases a person’s risk of developing hypertension and Parkinson’s disease, but increases their risk of developing schizophrenia, Crohn’s disease and obesity6. Its influence on many other diseases — and its interactions with other genes and with the environment — remains unknown. It will be much harder to predict the effects of completely new genetic instructions — let alone how multiple modifications will interact when they co-occur in future generations. Attempting to reshape the species on the basis of our current state of knowledge would be hubris. The work of He illustrates this point. Seeking to decrease the children’s risk of acquiring AIDS if exposed to HIV later in life, He attempted to inactivate the gene CCR5, which encodes a receptor that HIV uses to enter cells. However, this change is not benign: it has been reported to substantially increase the risk of complications, and death, from certain other viral infections, including West Nile virus and influenza. It could have other consequences, too — both positive and negative (see Nature http://doi.org/gfphqv (2018) and ref. 7). As a societal solution to AIDS, disrupting CCR5 through clinical germline editing is ill-advised. Germline editing would not help individuals with the infection today, and it would require many decades of widespread use to make a dent in the epidemic. And, if an effective HIV vaccine is developed, the genetic enhancement would confer no benefit with respect to AIDS, yet still increase the risk of complications from other infections. Medical considerations. Clinical application should be considered only if there is a sufficiently compelling reason. At the early stages of the new technologies, the bar should be set high. Genetic enhancement of any sort would be unjustifiable at this time, given the scientific considerations already mentioned. The issue of genetic correction is more complex. Some argue, especially in the popular press, that germline editing is urgently needed to stop children from being born with severe genetic diseases. But couples who know they are at risk of transmitting a severe disease-causing mutation already have safe ways to avoid doing so. They can use in vitro fertilization (IVF) in conjunction with preimplantation genetic testing (PGT), prenatal testing, sperm donors, egg donors, embryo donors or adoption. In particular, use of IVF followed by genetic screening of the embryos to ensure that only unaffected ones are transferred to the person’s uterus, guarantees that a couple will not have children with the genetic disease. The real problem is that most children with severe genetic diseases are born to couples who did not know they were at risk. Routine access to preconception genetic screening could allow most at-risk couples to make use of current options, should they wish to do so. Better access to newborn screening is also needed, to ensure that babies with a genetic disease can immediately receive any available therapy. What then is the role for genetic correction? Although IVF coupled to PGT can ensure that couples carrying a severe disease-causing mutation will not have an affected child, it doesn’t always yield a baby. In most cases, the problem stems from limitations of the process, related to the number and quality of the eggs harvested, and the growth and implantation of the embryos produced. IVF itself does not always succeed; the transfer of an embryo leads to a successful pregnancy in roughly 30% of cases in women under 35 and in less than 10% of cases in women over 40. 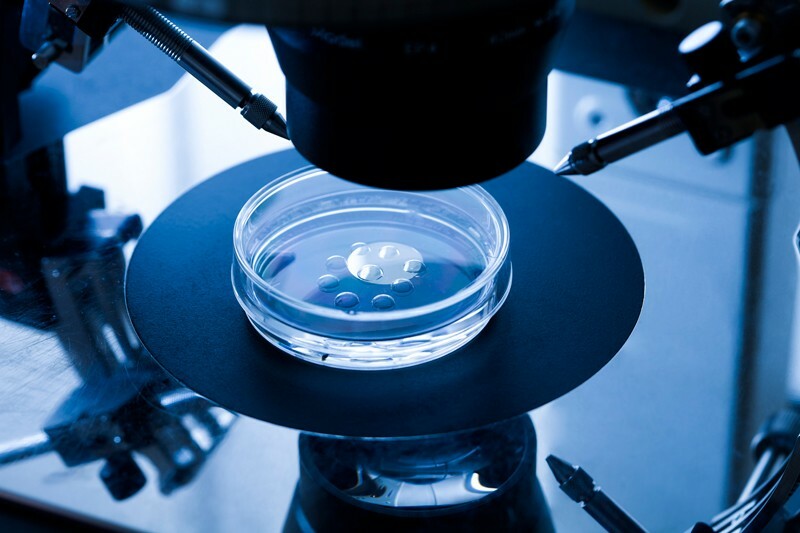 PGT diminishes the number of embryos available for transfer, because some embryos are rejected as a result of the genetic testing results, and others fail to develop in vitro to a stage and quality that makes them suitable for testing. In most cases, suitable embryos are available for transfer following PGT. However, when only a few are available to begin with, there might be no suitable ones after the test. Couples can repeat the process, and they might succeed on subsequent tries, but some might never obtain unaffected embryos. It has been suggested that, if germline editing were highly efficient and safe, it might increase the proportion of couples that achieve pregnancies. However, continuing to improve the efficiency of the IVF and PGT processes might be a better, safer, cheaper and more widely applicable solution. At present, it is hard to evaluate the case for using germline editing to improve the efficiency of IVF coupled to PGT. The extent to which PGT diminishes IVF efficiency as a function of the IVF protocol, age of the mother, number of eggs harvested, and proportion of affected embryos has not been extensively investigated. (We know of only one study addressing a few of these questions in a single setting8.) The efficiency of germline editing is also unclear, especially given the need to assess embryos for editing accuracy. Once these issues are clarified, the case can be weighed. For a tiny fraction of couples, the situation is different. These couples can never be helped by IVF coupled to PGT alone, because 100% of their embryos will be affected. In these cases, one parent is homozygous for a dominant disease or both parents are homozygous for a recessive disease. Such instances are exceedingly rare, occurring for only a small minority of genetic diseases and largely in situations in which a disease allele is present at high frequency in a population. These rare couples might represent the strongest case for considering clinical germline editing, because the technology would be their only way to conceive unaffected children who are biologically related to both parents. Societies will need to weigh the legitimate interests of such couples against other issues at stake. Societal, ethical and moral considerations. Irrespective of all of the above, clinical germline editing should not proceed for any application without broad societal consensus on the appropriateness of altering a fundamental aspect of humanity for a particular purpose. Unless a wide range of voices are equitably engaged from the outset, efforts will lack legitimacy and might backfire. The societal impacts of clinical germline editing could be considerable. Individuals with genetic differences or disabilities can experience stigmatization and discrimination. Parents could be put under powerful peer and marketing pressure to enhance their children. Children with edited DNA could be affected psychologically in detrimental ways. Many religious groups and others are likely to find the idea of redesigning the fundamental biology of humans morally troubling. Unequal access to the technology could increase inequality. Genetic enhancement could even divide humans into subspecies. Moreover, the introduction of genetic modifications into future generations could have permanent and possibly harmful effects on the species. These mutations cannot be removed from the gene pool unless all carriers agree to forgo having children, or to use genetic procedures to ensure that they do not transmit the mutation to their children. Decisions about clinical germline editing — whether to permit it at all and judgements about particular applications — will unfold over decades. Because it has implications for the entire species, decisions must be informed by diverse interests and perspectives. At this stage, no outcomes should be foreclosed. The world might conclude that the clinical use of germline editing is a line that should not be crossed for any purpose whatsoever. Alternatively, some societies might support genetic correction for couples with no other way to have biologically related children, but draw a line at all forms of genetic enhancement. Or, societies could one day endorse limited or widespread use of enhancement. These decisions must not be taken by individual actors — not by scientists, physicians, hospitals or companies, nor the scientific or medical community acting as a whole. Indeed, some commentators have expressed concern about the evaluation processes being too strongly controlled by scientists and physicians9. What might an international framework look like? We do not think that a purely regulatory approach will suffice, because it cannot address many of the fundamental questions. Regulatory agencies have narrow mandates: they are typically charged with weighing the safety and efficacy of a new treatment, not whether it is wise to use it. We also do not favour an international treaty that would ban all clinical uses of germline editing, subject to a mechanism to lift the ban for specific applications. International bans have been useful for some technologies, including nuclear, chemical and biological weapons. But the approach is too rigid for clinical germline editing. Indeed, an effort by the United Nations Educational, Scientific and Cultural Organization (UNESCO) to create a legally binding convention to outlaw human cloning foundered. This was in part because of the difficulty of achieving agreement about rules for reproductive cloning to create a child, versus therapeutic cloning to create biologically compatible tissue to treat an existing person10. Instead, we think that each nation should voluntarily pledge not to allow any application of germline editing unless certain requirements are met. We outline one possible approach as an illustration. 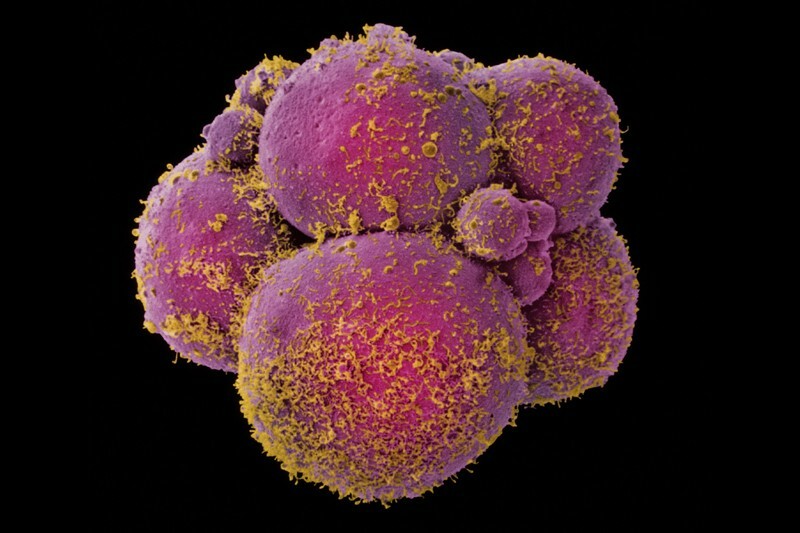 Governments would publicly declare that they will not permit any clinical use of human germline editing for an initial period of fixed duration. Five years might be appropriate. Thereafter, a nation could choose to allow a particular application, but only after it does the following. First, provide a period of public notice (perhaps two years) of its intent to consider permitting the application, and engage in robust international discussion about the pros and cons of doing so. Second, determine, through careful and transparent evaluation of both the technical, scientific and medical considerations, and the societal, ethical and moral issues, that, in its judgement, the application is justified. Third, determine that there is broad societal consensus in the nation on whether to proceed with human germline editing at all, and on the appropriateness of the proposed application. We are particularly mindful of the challenge of assessing broad societal consensus11. To be clear, the concept does not mean unanimity or simple majority12. Societal consensus on germline editing is something that must be judged by national authorities, just as governments make political judgements about their citizens’ views on other complex social issues. A useful approach to consider is the proposed Global Genome Editing Observatory9,13,14, a network of organizations and individuals to track developments and facilitate public conversations, both within nations and across cultures. A coordinating body should be established to support the framework. This group could convene both ongoing discussions and specific consultations once a nation announces publicly that it is considering permitting a particular application. The coordinating body might be organized under the World Health Organization (WHO) or established as a new entity through the collaborative efforts of a diverse group of nations. The coordinating body should establish an international panel to provide nations with clear, comprehensive and objective information about relevant issues, by issuing reports on a regular basis (perhaps every two years). Such panels are routinely used by international conventions to provide assessments of complex scientific and societal issues, such as those relating to fissile materials, forests, natural disasters, biodiversity and climate change. We would favour having two distinct subpanels — one consisting mostly of biomedical specialists for the technical, scientific and medical considerations, and the other comprised mostly of those focusing on societal, ethical and moral issues. Various aspects of the framework would need to be fleshed out by groups with appropriate international standing. Both the WHO and several national academies have announced plans to convene international committees on clinical germline editing; these groups might choose to take up this task. But it is essential to include those representing perspectives outside science and medicine — including people with disabilities, patients and their families, economically disadvantaged communities, historically marginalized groups, religious groups and civil society at large. Some might criticize the framework we outline here because the pledge is voluntary, rather than a formal treaty. However, we think that this approach would be effective, because it would encourage nations to commit to transparency, to public engagement, to international consultation and to policing behaviour within their own borders. It would also provide opportunities for other nations to dissuade a country from proceeding with ill-conceived uses. And it would provide a mechanism for flagging nations that refuse to commit to — or live up to — these self-imposed obligations. The governance model we present would intentionally leave room for nations to take differing approaches and reach different conclusions, informed by their history, culture, values and political systems. Still, the common principle would be all nations agreeing to proceed deliberately and with due respect to the opinions of humankind. As well as requesting these actions by nations, we ask relevant actors — including fertility clinics, hospitals, medical schools, biomedical research institutes and professional associations, as well as individual researchers and physicians working in the field — to publicly pledge that they will not initiate clinical germline editing without advance notice, full transparency and national approval under all relevant laws and regulations, and that they will report any unsanctioned efforts that they become aware of. We recognize that a moratorium is not without cost. Although each nation might decide to proceed with any particular application, the obligation to explain to the world why it thinks its decision is appropriate will take time and effort. Certainly, the framework we are calling for will place major speed bumps in front of the most adventurous plans to re-engineer the human species. But the risks of the alternative — which include harming patients and eroding public trust — are much worse. Araki, M. & Ishii, T. Reprod. Biol. Endocrinol. 12, 108 (2014). Pontin, J. ‘The Genetics (and Ethics) of Making Humans Fit for Mars’ Wired (8 July 2018). Regalado, A. ‘The DIY designer baby project funded with Bitcoin’ MIT Technol. Rev. (1 February 2019). Hurlbut, J. B. Nature 565, 135 (2019). National Academies of Sciences, Engineering, and Medicine. Human Genome Editing: Science, Ethics, and Governance (National Academies Press, 2017). Costas, J. Am. J. Med. Genet. B Neuropsychiatr. Genet. 177, 274–283 (2018). Joy, M. T. et al. Cell 176, 1143–1157 (2019). Steffann, J., Jouannet, P., Bonnefont, J. P., Chneiweiss, H. & Frydman, N. Cell Stem Cell 22, 481–482 (2018). Jasanoff, S. & Hurlbut, J. B. Nature 555, 435–437 (2018). Langlois, A. Palgrave Commun. 3, 17019 (2017). Burall, S. Nature 555, 438–439 (2018). Baylis, F. Nature Hum. Behav. 1, 0103 (2017). Hurlbut, J. B. et al. Trends Biotechnol. 36, 639–641 (2018). Saha, K. et al. Trends Biotechnol. 36, 741–743 (2018). Eric Lander (E.L.) notes that institutions with which he is associated — Broad Institute, MIT and Harvard — have interests in CRISPR technology, including patents and patent applications, and that he is a co-inventor on certain patents and patent applications relating to CRISPR-based gene-editing technologies. He also serves on the board of directors for Codiak BioSciences and Neon Therapeutics, and serves on the scientific advisory board of F-Prime Capital Partners and Third Rock Ventures. Feng Zhang (F.Z.) is a founder and scientific adviser for Editas Medicine, Beam Therapeutics, Arbor Biotechnologies, and Pairwise Plants. F.Z. is also an inventor on a number of issued patents and applications relating to CRISPR-based gene-editing technologies. Emmanuelle Charpentier (E.C.) is a co-founder of CRISPR Therapeutics and ERS Genomics and is a member of the scientific advisory board of CRISPR Therapeutics. J. Keith Joung (J.K.J.) has financial interests in Beam Therapeutics, Editas Medicine, Endcadia, EpiLogic Therapeutics, Pairwise Plants, Poseida Therapeutics, and Transposagen Biopharmaceuticals. J.K.J.’s interests were reviewed and are managed by Massachusetts General Hospital and Partners HealthCare in accordance with their conflict of interest policies. J.K.J. is a member of the board of directors of the American Society of Gene and Cell Therapy. J.K.J. is a co-inventor on various patents and patent applications that describe gene-editing technologies. David R. Liu (D.R.L.) is a consultant and co-founder of Beam Therapeutics, Editas Medicine, and Pairwise Plants, companies that use genome editing, and is a co-inventor on genome editing patents. Complete financial disclosures are available at https://liugroup.us/david-r-liu/. Wensheng Wei (W.W.) serves as a scientific adviser for EdiGene.